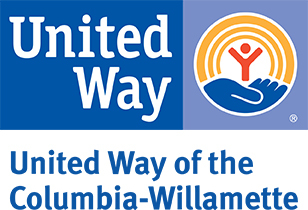 As the volunteer center for the Portland metro area, Hands On is dedicated to making it as easy as possible for individuals and groups to connect with meaningful volunteer opportunities. We believe that by mobilizing the caring power of people, we will improve lives, strengthen communities and advance equity in our region. Below are a few ways your company can utilize Hands On to find a project that fits your groups criteria. Check out our Project Calendar to find a variety of "done-in-a-day" volunteer opportunities. Look for *Hands On* in the title to find projects managed by us. You can sign up in two clicks to join a group of volunteers on a 2-4 hour project, lead by a trained volunteer leader; no experience or ongoing commitment required! Any one group can only take up to 50% of the spaces on any project. By leveraging our strong relationships with the local nonprofit community, Hands On can help to create custom volunteer projects to fit with your specific time frame, issue area(s) and employee volunteer interests. Because of the experience we've gained putting thousands of volunteers to work since 1996, we know what the real needs are, know how to organize fun and meaningful volunteer opportunities, and know what it takes to motivate volunteers. Hands On Greater Portland makes it easy for companies of all sizes to make an important, lasting, and positive impact on the community. If this sounds like what your company needs, feel free to contact Todd. Event management fee for custom project development starts at $50 per person. How do you maximize your fun while making a difference in your community? Rally your coworkers, friends and family and create a volunteer team! By creating a team and using some basic tips and tricks while searching for projects, you’ll be able to sign up your family, school group, service club, and more for volunteer projects in just a couple of clicks. Hands On Greater Portland mobilizes volunteers on a number of special events each year, from January’s United Way MLK Weekend of Service to Comcast Cares Day in the Spring. Days of Service are a great way to rally your coworkers to get out and volunteer.